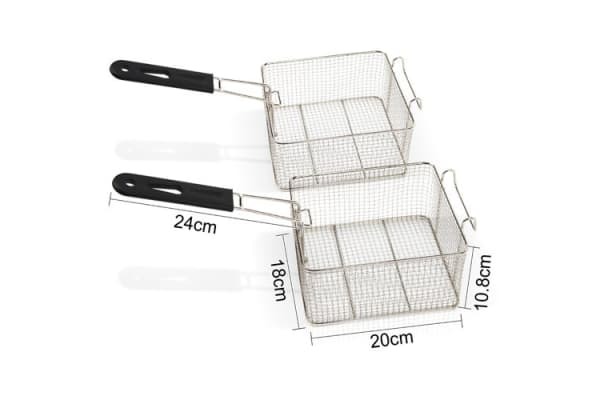 This Premium 5-Star Chef deep fryer will lend you a helping hand in achieving a perfect crisp for your dishes. It has features which include power-saving auto thermostat, hinged removable oil-heating plate, quick-heat function, and non-slip rubber feet. 5-Star Chef deep fryer is a perfect appliance, which anyone would love to have in their kitchen. 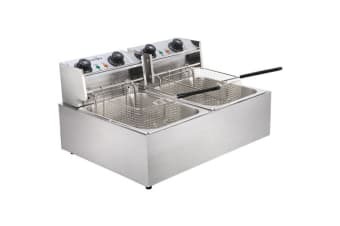 This 5-Star chef deep fryer has a double frying compartments with individual temperature control function, allowing you to cook your food at your own desire way. 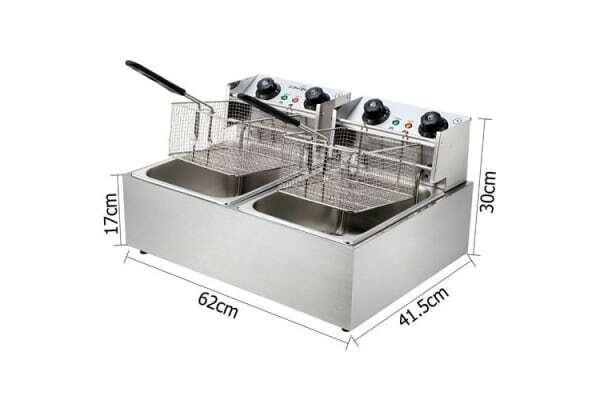 Buy this Premium deep fryer today and surprise your family and friends with your excellent cooking!